Well apparently spring is officially here, but balmy it is not! Especially in the evenings when there's still definitely a chill in the air, and there's nothing better than snuggling up on the sofa with a throw or two to keep you warm and cosy. 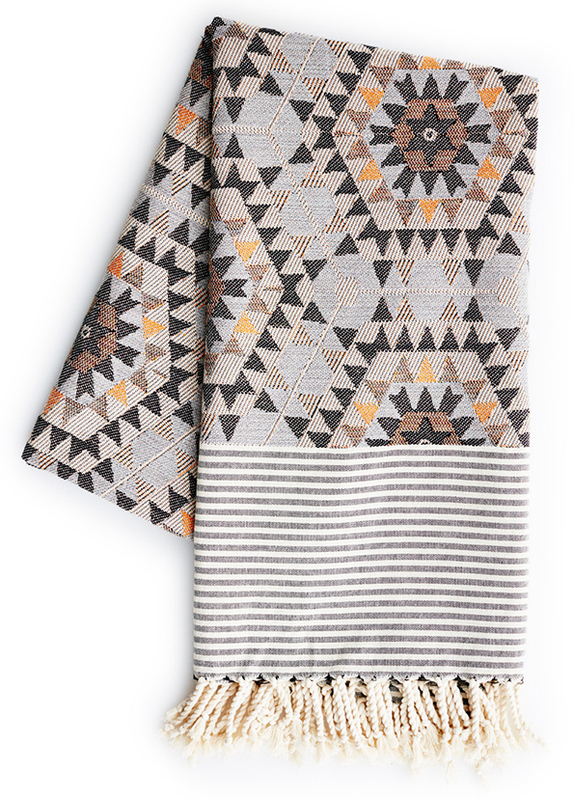 Practicalities aside, beautiful throws are must-have home accessory (casually draped over the arm or back of a sofa or chair of course) that can add lovely texture and pattern to a room without costing an arm and a leg or being a big commitment. You know how everyone bangs on about layering? Well throws should be one of your best friends. Despite this knowledge and my love of throws, I've realised that I don't own nearly enough of them which I obviously need to rectify pronto. As I'm feeling a bit indecisive about the wall colour in our living room, and we'll also be replacing our filthy disgusting, kid-trashed well-worn rug soon, I've decided to keep things neutral for my next throw purchase, so that it will work with the new wall colour and rug, whatever they may be! This way they can also be used in any room without worrying about the colours not working. 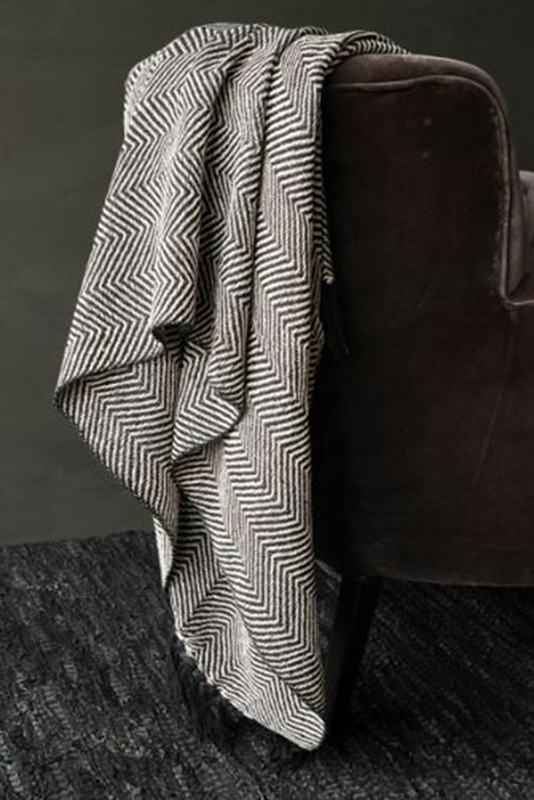 I love this Chevron throw from Rockett St George, it's a classic - you just can't go wrong with black and white, and at £29.00 it's a bargain to boot. Please note how well the casual drape is working here. Next up is Esprit. Who knew that Esprit did homewares? Not me til recently. 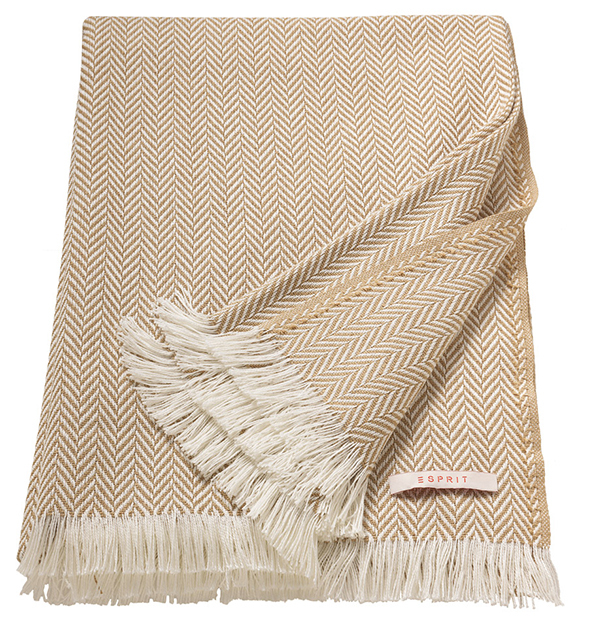 They have some rather lovely throws, and this one ticks all the boxes - herringbone AND fringing? Yes please! The Stone colour is a beautiful neutral, but I have to say both the Lime and Salmon are calling my name too. In fact the brighter ones would be perfect for evenings in the garden once spring truly arrives. We try to dine in the garden as much as possible when the weather is warmer, to make the most of the limited outdoor dining opportunities we have in England, but once the sun goes down, grabbing a couple of throws from inside to wrap up in is always a good idea, to prolong that time as much as possible! So I should just buy all of them, right? I've always said you can never have too many cushions, and I think I'll add throws to that list now too.